In literate societies around the world, children begin instruction in reading somewhere between the ages of five and seven years. On one level their tasks are very similar – learn the sound-symbol relationship of their languages and apply their linguistic and cognitive skills to gain meaning from print. On another level their tasks seem to vary – orthographies and sound-symbol relationships differ, and cultures’ attitude towards reading and children’s motivation to achieve range widely. 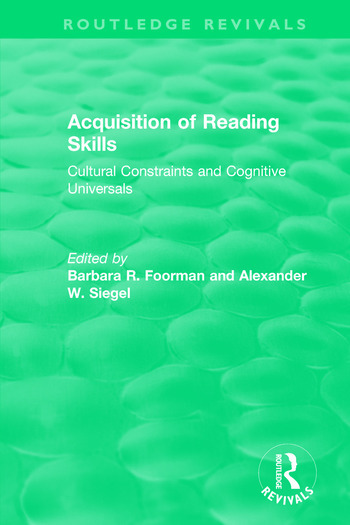 This book considers both universal and culturally constrained aspects of the process of learning to read, with the first four chapters exemplifying cognitive universal approaches to reading, and the last four highlighting cultural constraints. It will be of use to researchers and students, as well as teachers requiring an insight into how reading skills are acquired.